Climate agreement • Democrats and environmentalists decry Trump's likely decision to pull from the pact, saying it would be a divorce from science. 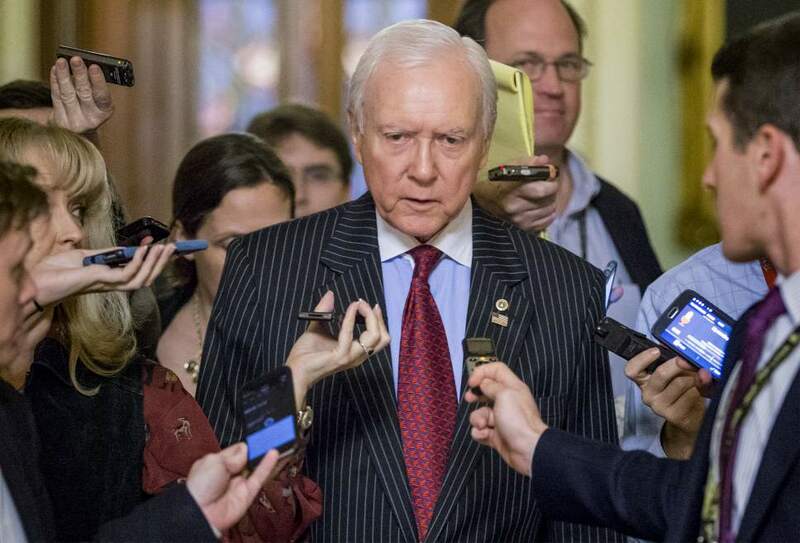 J. Scott Applewhite | AP File Photo Sen. Orrin Hatch, R-Utah, says withdrawing from Paris Accords will benefit Americans. Isaac Hale | Pool Photo Republican candidate Mike Lee answers a question during the U.S. Senate Debate on Wednesday, Oct. 12, 2016 at KBYU studios on the campus of Brigham Young University in Provo. 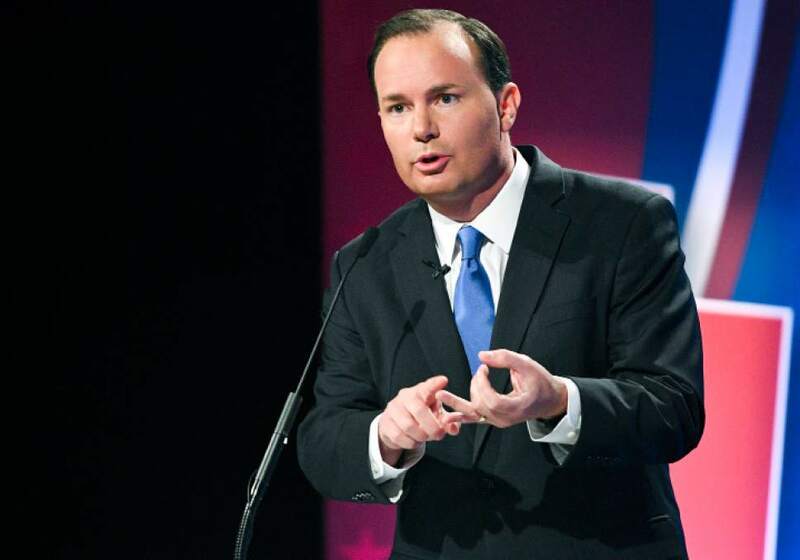 Manuel Balce Ceneta | AP file photo Sen. Mike Lee, R-Utah, hailed President Donald Trump reported decision to pull out of Paris Accords. Washington • Sens. 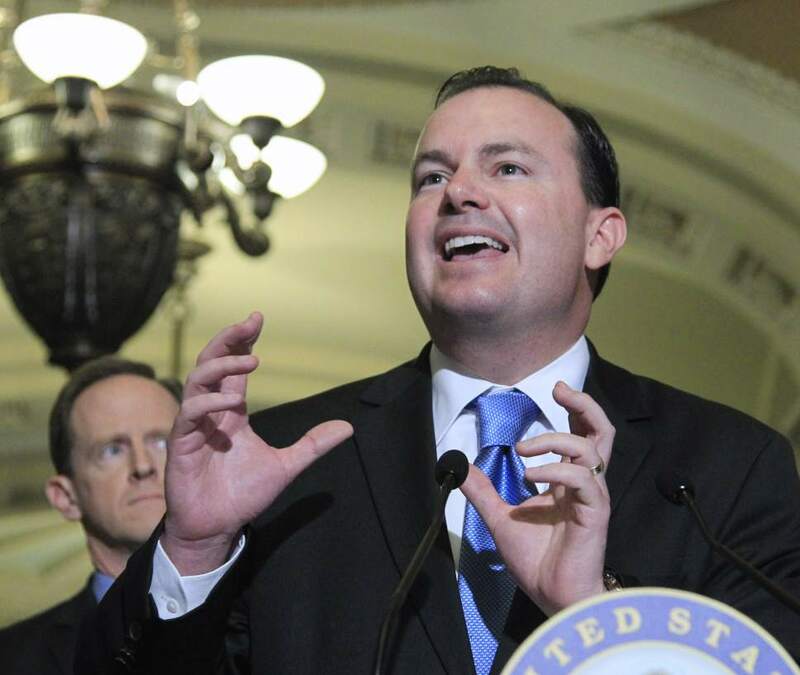 Mike Lee and Orrin Hatch praised the apparent decision by the Trump administration to pull out of a global climate pact, arguing that the United States would benefit economically without the agreement backed by 194 other countries. The White House officially said a decision had not been reached to withdraw from the Paris accord  in which countries voluntarily agree to work to keep global temperatures from rising more than 3 degrees Fahrenheit and decrease greenhouse gas emissions  but several news outlets reported anonymous senior officials saying President Donald Trump wants out of the deal signed by former President Barack Obama. Lee and Hatch said leaving the Paris deal would boost American jobs and decrease energy costs, even as Democratic and environmental groups feared the move would ultimately damage the planet&apos;s fragile ecosystem. "The decision to withdraw will afford Americans greater economic opportunity and cheaper, more flexible energy choices in the future," Lee said in a statement. "I look forward to working with President Trump, my congressional colleagues, states and local governments to follow-up this decision with additional energy policy reforms that benefit the American people like repealing harmful regulations and reducing federal barriers to energy production." Lee had raised concerns before  and again Wednesday  that the Obama administration circumvented the Senate&apos;s role in ratifying international treaties. The GOP-led Senate was not likely to do so. If Trump follows through in withdrawing from the Paris Accords, the United States would join only two other countries that are not signatories: Nicaragua and Syria. Hatch said he was encouraged that Trump continues to reduce "unnecessary and ineffective regulatory burdens." "Withdrawing from this unenforceable agreement  which lacked the support of the American people and never came before the Senate for approval  is a step in the right direction," Hatch said. "President Obama&apos;s climate agenda did little to improve the environment while doing much to hurt the economy. I look forward to working with the president to rein in the overregulation of the Obama administration and help America&apos;s businesses compete globally." Former presidential candidate Mitt Romney, who lives in Utah, criticized the potential Trump move on Twitter. "Affirmation of the #ParisAgreement is not only about the climate: It is also about America remaining the global leader," Romney wrote. Democrats also were quick to denounce the idea of leaving the global agreement. "A decision by President Trump to leave the Paris Accord would be irresponsibly shortsighted and harmful to the United States," said Sen. Kirsten Gillibrand, D-N.Y. "There is no credible doubt that climate change is real and is caused by human activity. We have irrefutable data that temperatures are rising, Arctic ice is melting, sea levels are rising, and extreme weather is becoming more severe. This scientific question has been settled for years, yet the few deniers who are still out there have gained outsized and dangerous influence with our president at the expense of our safety and security." Michael Brune, the executive director of the Sierra Club, said that Trump&apos;s decision to leave the agreement would be an historic mistake that "our grandchildren will look back on with stunned dismay at how a world leader could be so divorced from reality and morality." "Trump has abandoned the standard of American leadership, turned his back on the what the public and the market demand, and shamelessly disregarded the safety of our families just to let the fossil fuel industry eke out a few more dollars in profits," Brune continued. "This is a decision that will cede America&apos;s role internationally to nations like China and India, which will benefit handsomely from embracing the booming clean energy economy while Trump seeks to drive our country back into the 19th century."